The title of this painting is pretty self-explanatory, so I won’t dwell on it. 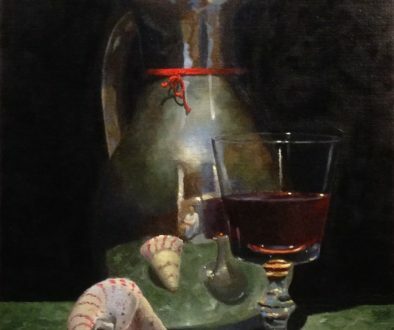 I don’t generally care for paintings with lighthouses in them, but for some reason I wanted the challenge of putting one in a still life, at least in symbolic form. 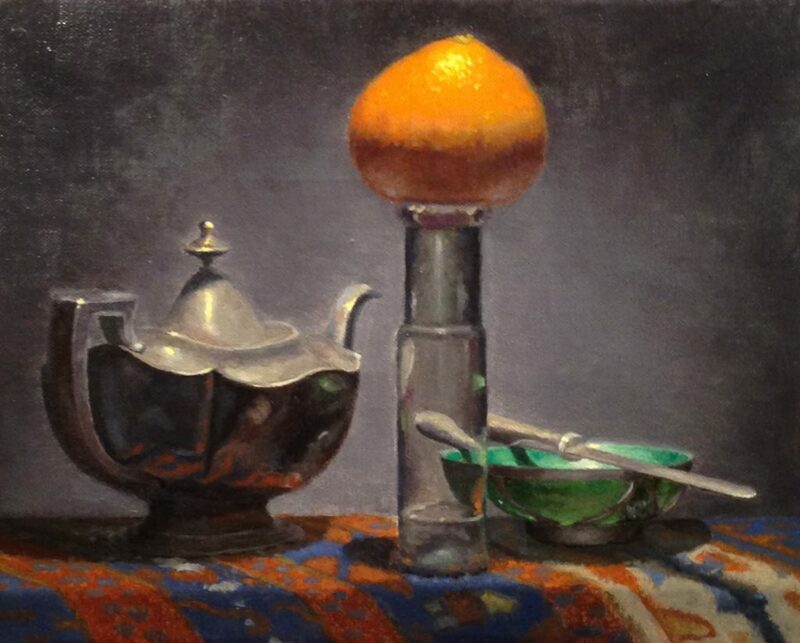 This painting took it’s start from the antique silver teapot, which I just purchased last weekend. 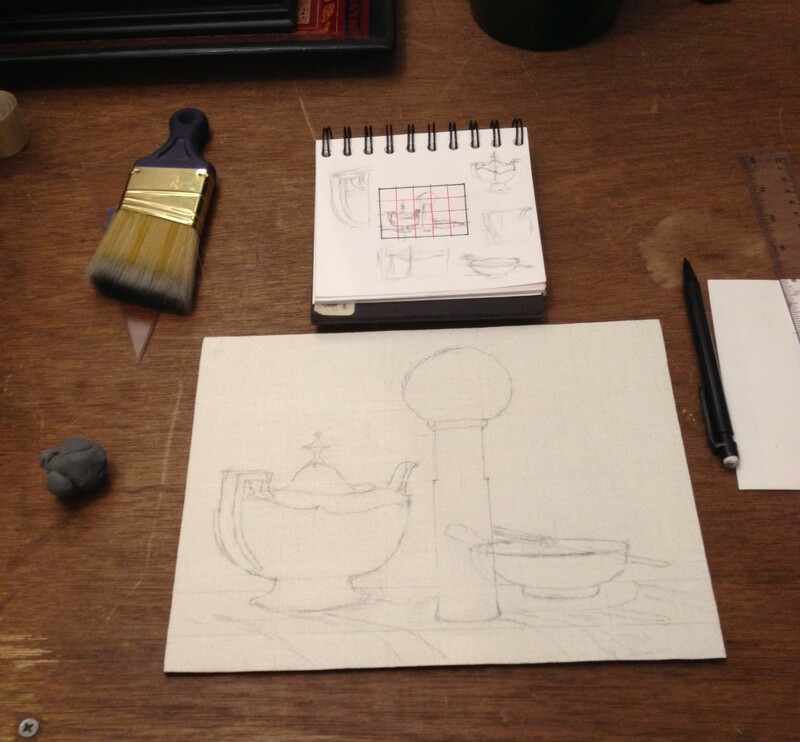 The shape was probably inspired by the usual idea of what Aladdin’s Lamp looked like. That, of course, called for an oriental rug (in this case a beautiful late 19th century Kurdish rug with all natural dyes), and the translucent jade bowl nicely rounded out the composition. “Beacon” was done entirely from life (without use of photography). It is painted with oil on linen, which is mounted to a hardboard panel. The dimensions are 8×10 inches (20×25 cm). I worked with a straight-forward grisaille (black and white) underpainting. 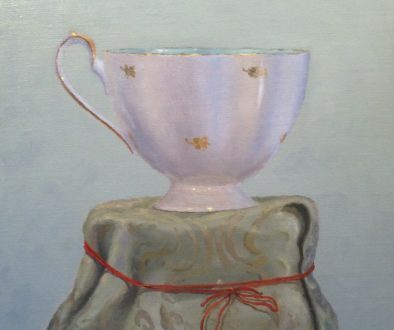 This was followed by a mixture of opaque paints and glazes on top of the underpainting. 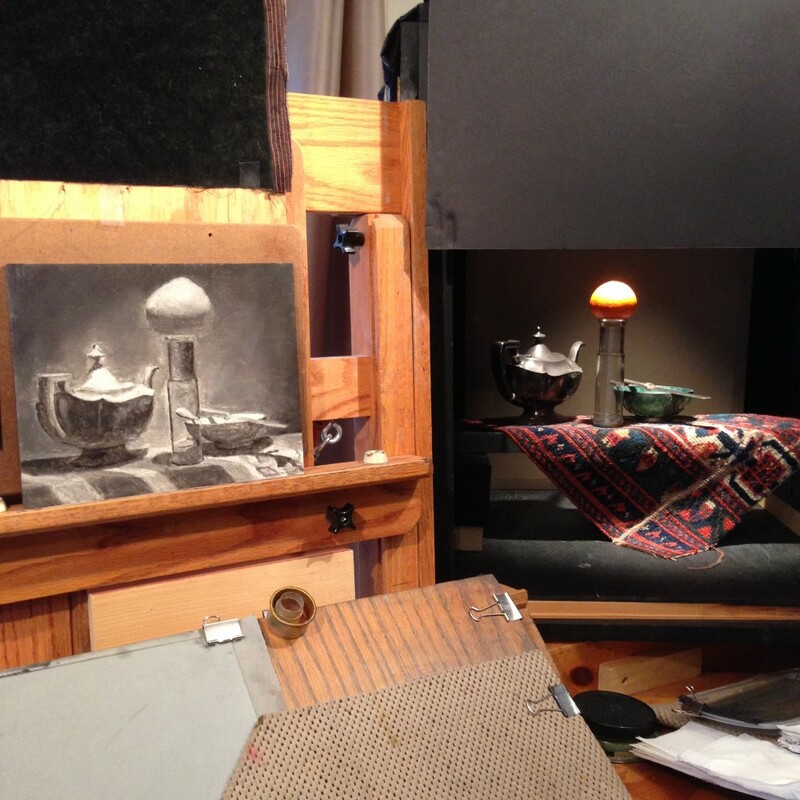 Here are a few shots demonstrating the basic process for starting this painting. 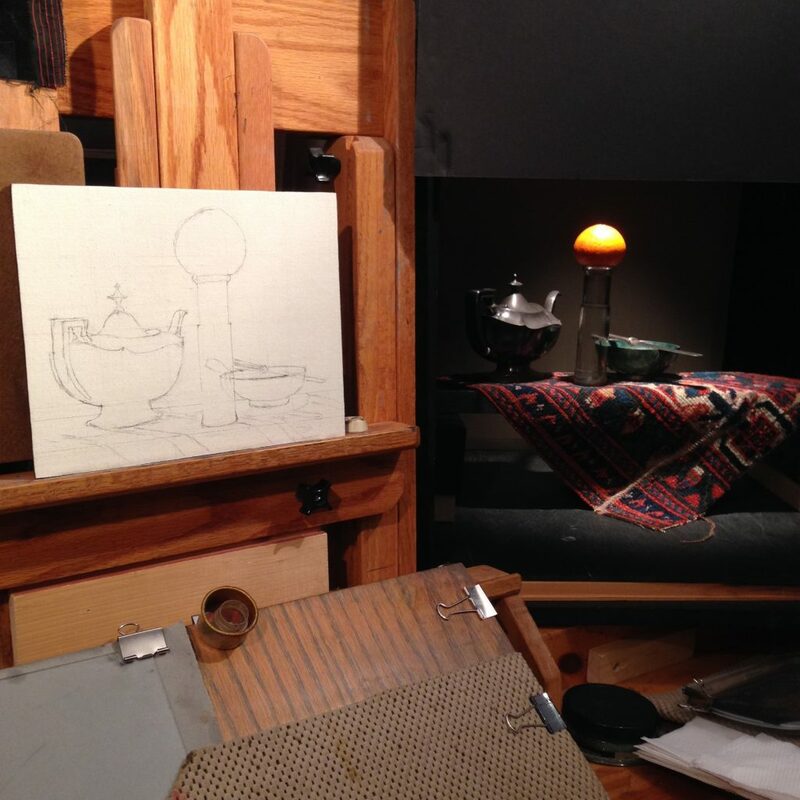 With a solid drawing and underpainting in place, the final color layer goes quickly and accurately. The drawing. 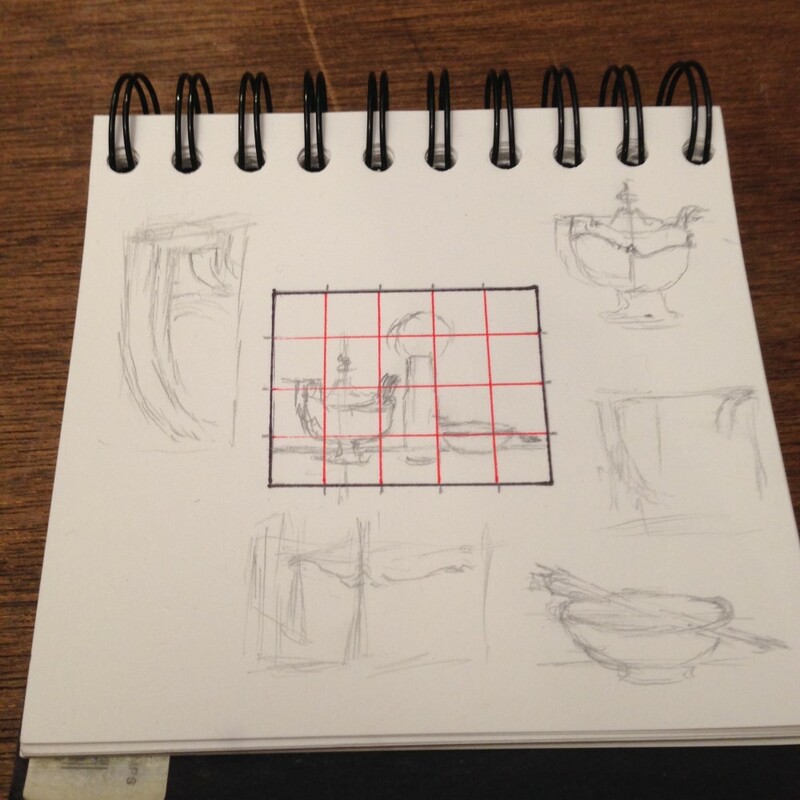 The thumbnail sketch in the spiral notebook was transferred to the panel using the grid transfer method. The notebook. 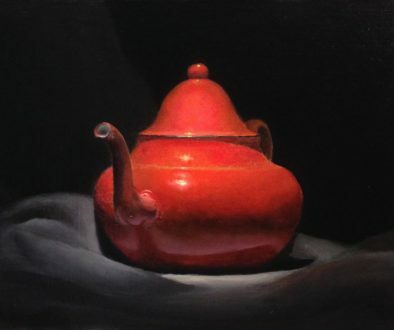 The teapot sits at an angle relative to the point of view, so I needed to pay special attention to the perspective. A closeup of the drawing on the panel. If you’re interested in adding “Beacon” to your collection, send me a message using the “Connect with Me” section on the sidebar to the right. 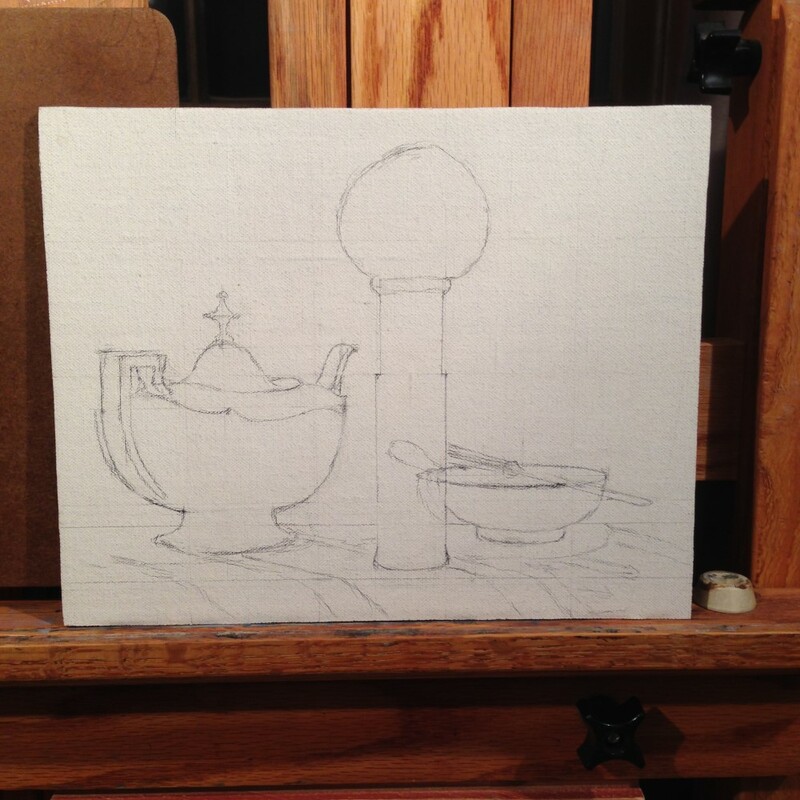 Please bookmark my blog and watch for posts about this coming week’s painting.